a victory of liberal democracy and an enlightened response to ethnic and nationalist differences. But in reality the disintegration of Czechoslovakia was neither of these, argues the author of this penetrating book. Abby Innes describes and analyses in detail the causes, process, and consequences of Czechoslovakia's 1993 separation. Her account reveals that the Czechoslovak split was a process manufactured by ruthlessly pragmatic Czech right-wing political forces and abetted by a populist and opportunist Slovak leadership. Both political forces remained practically free from public constraint and distinctly authoritarian in their attitudes to the state and its purpose - hallmarks of a Communist legacy. 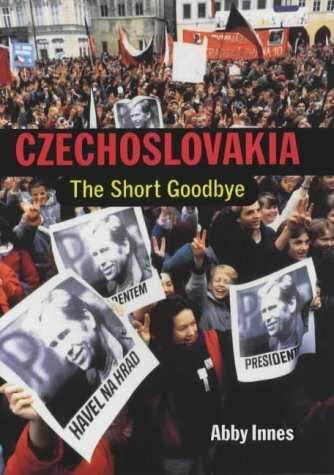 In addition to a highly detailed account of the break-up of Czechoslovakia, Innes sets the velvet divorce in the context of the history of the Czechoslovak state since its formation in 1918 and traces the political developments in Czechia and Slovakia to the end of 2000. She shows that Western policymakers underestimate the continuing strength of the Communist legacy and often misunderstand the motivation of politicians in this region. The problems of managing the politics of transition remain daunting, she cautions, and the most attractive solutions for politicians are rarely the most democratic.